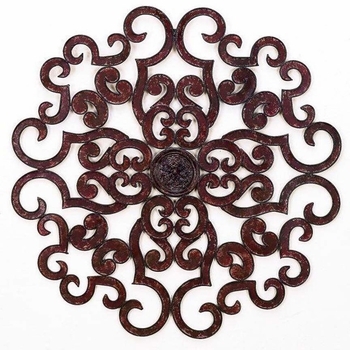 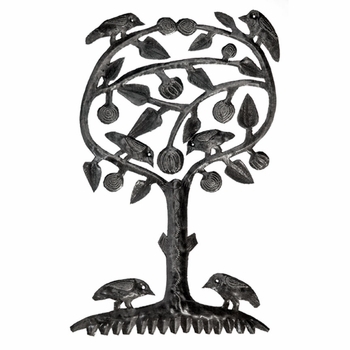 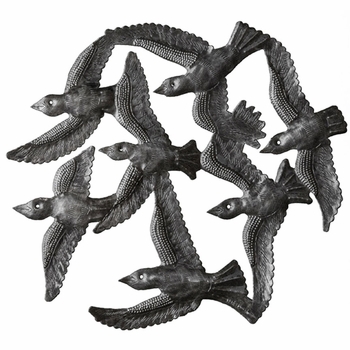 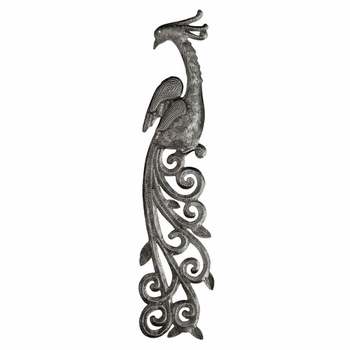 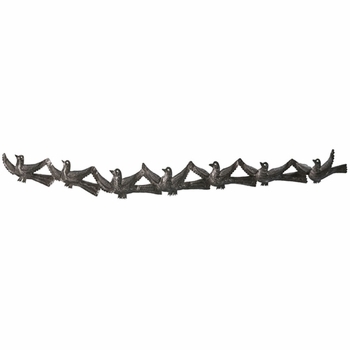 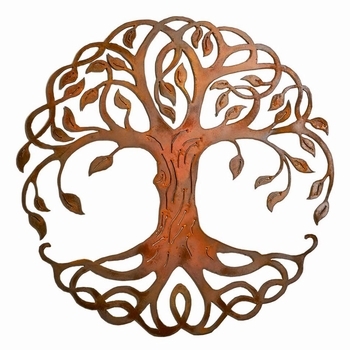 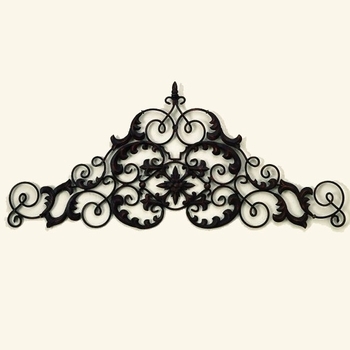 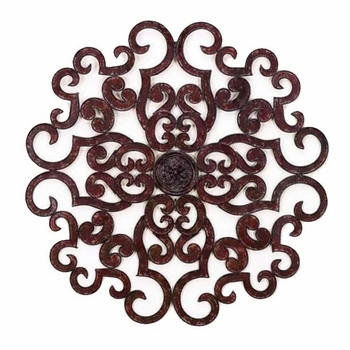 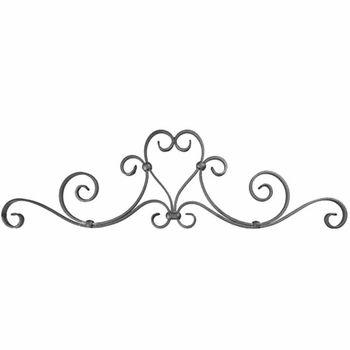 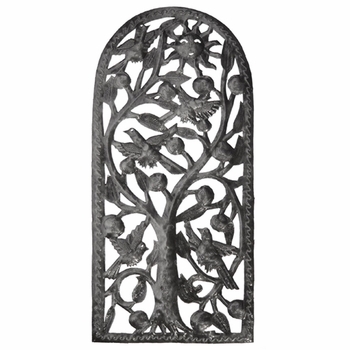 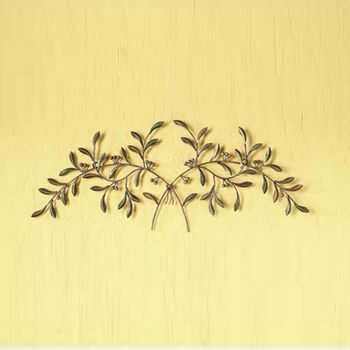 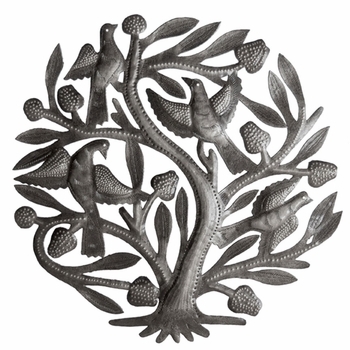 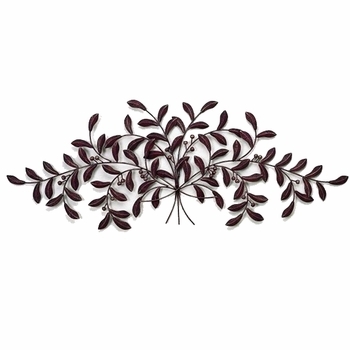 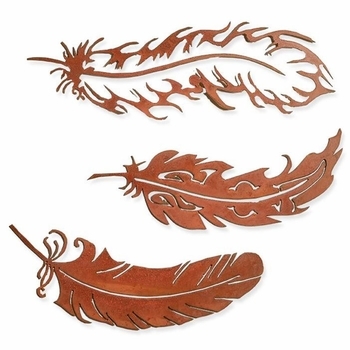 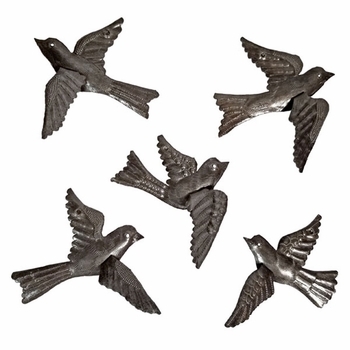 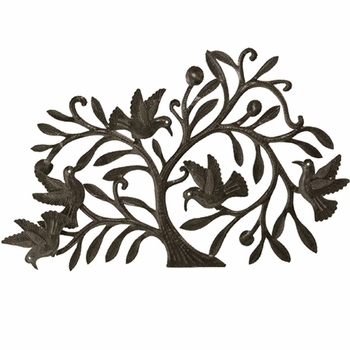 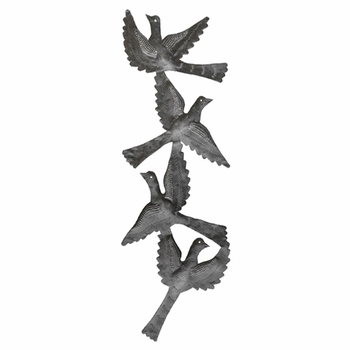 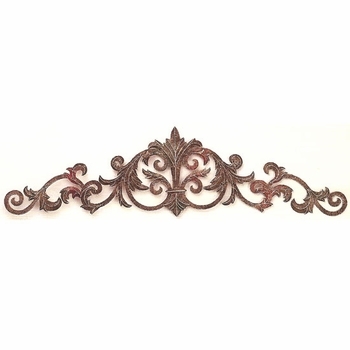 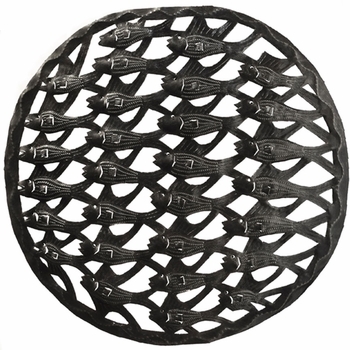 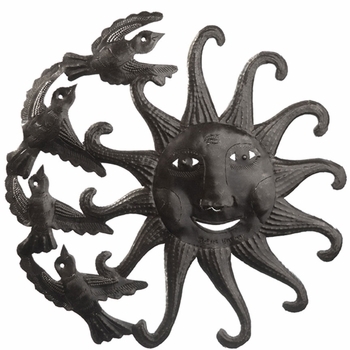 Flights of fancy start here with our beautiful iron wall decor! 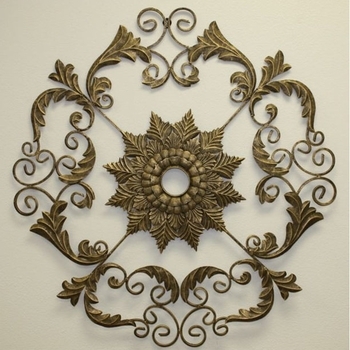 Lighter metals enhance these decorative choices that are designed to fill a tight space on a wall or above a door. 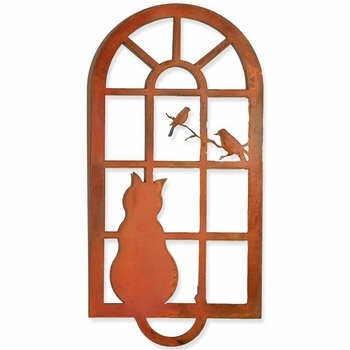 Whimsical bicycles, butterflies or birdcages make outstanding additions to children's rooms or play spaces. 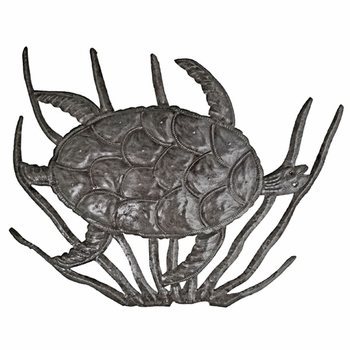 There are even selections for hobbyists! 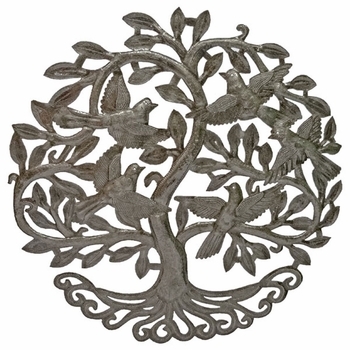 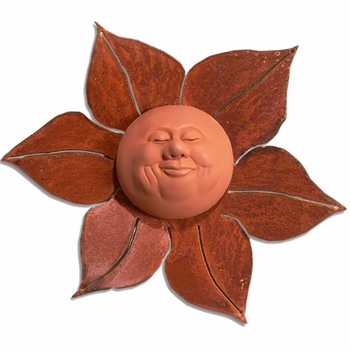 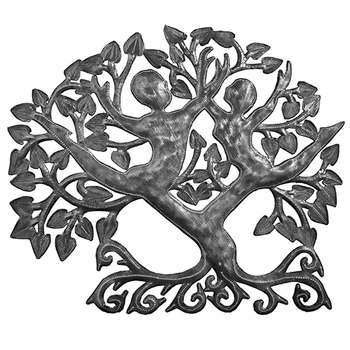 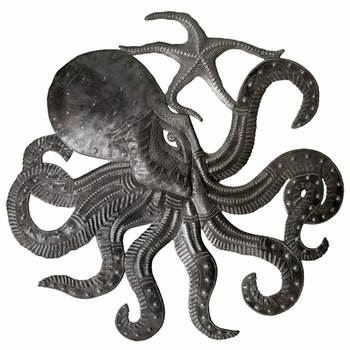 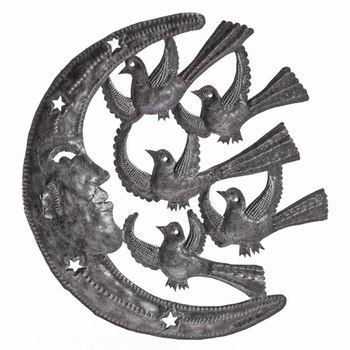 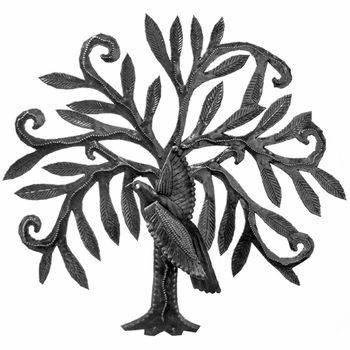 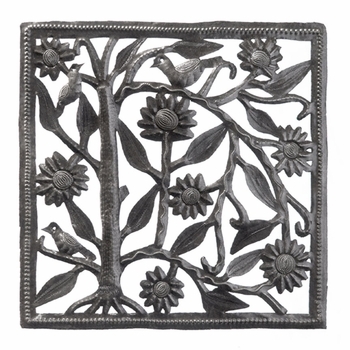 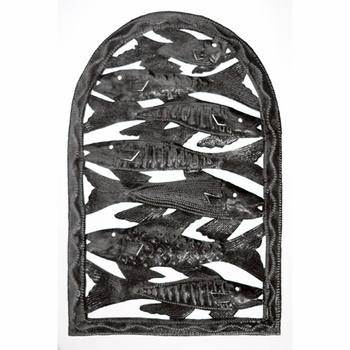 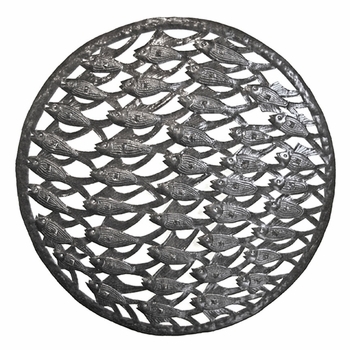 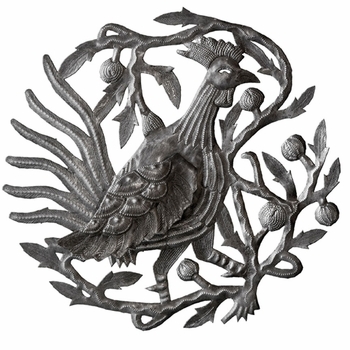 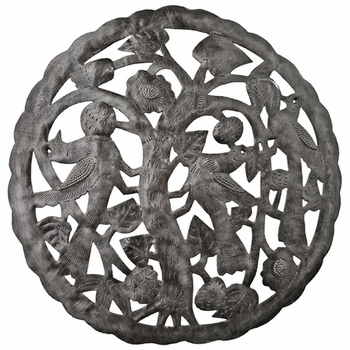 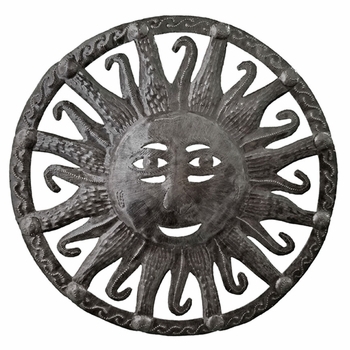 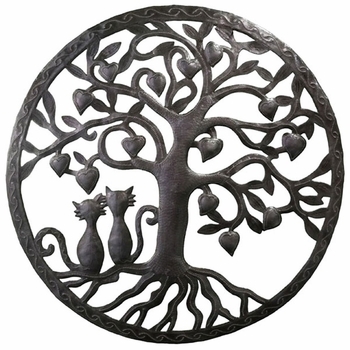 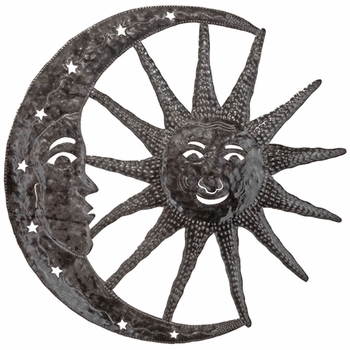 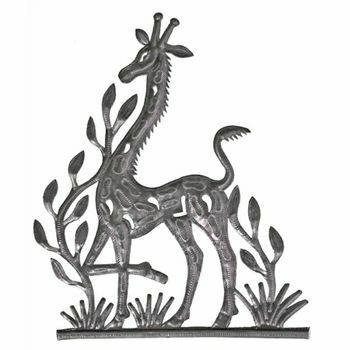 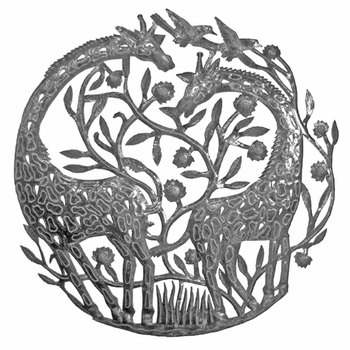 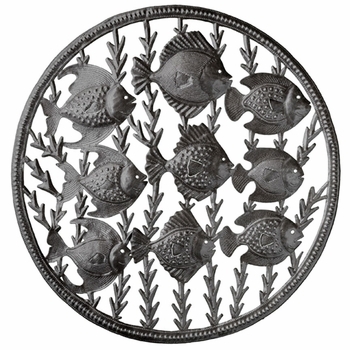 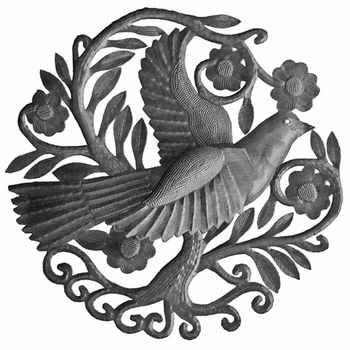 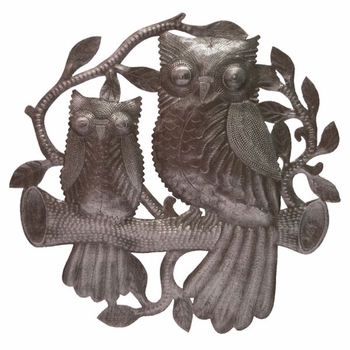 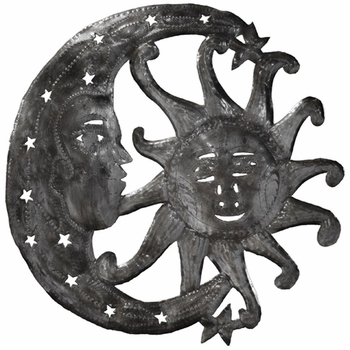 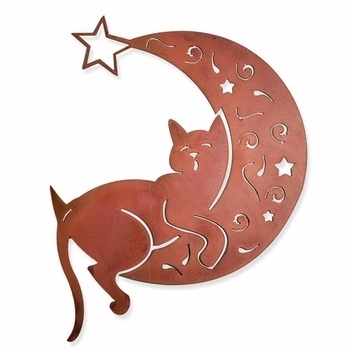 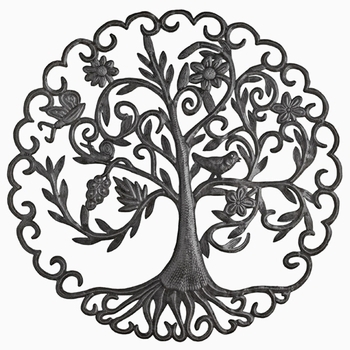 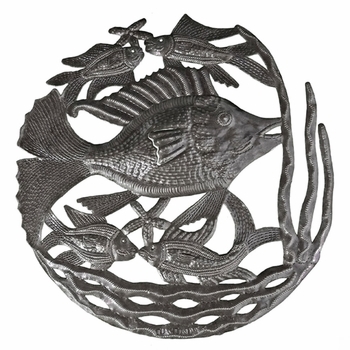 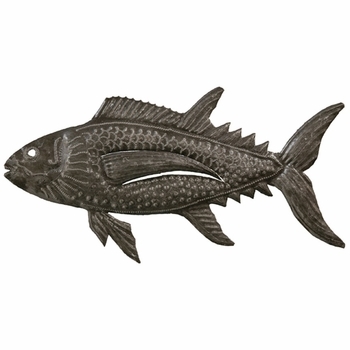 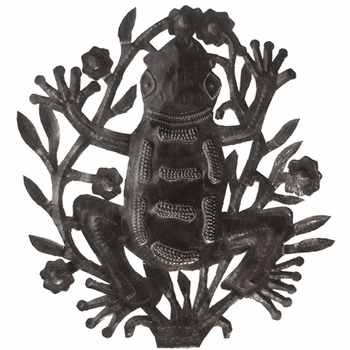 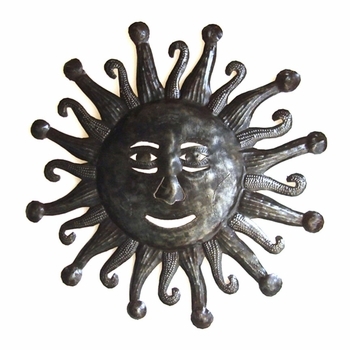 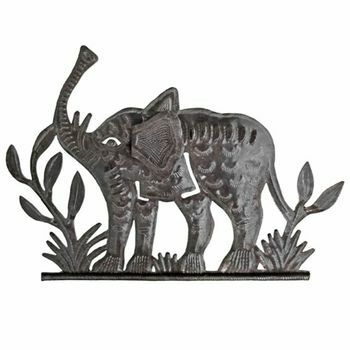 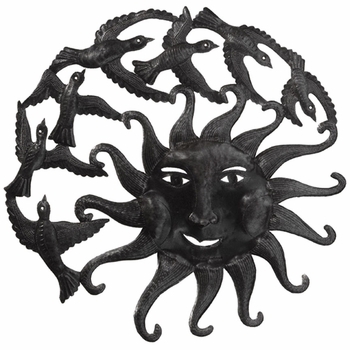 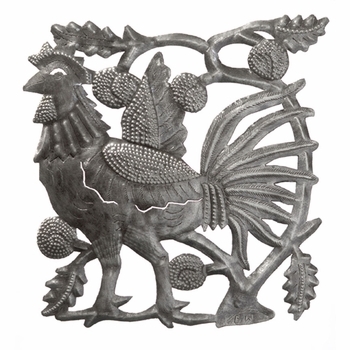 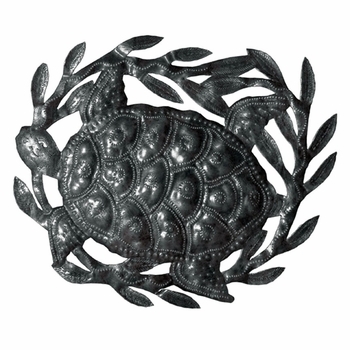 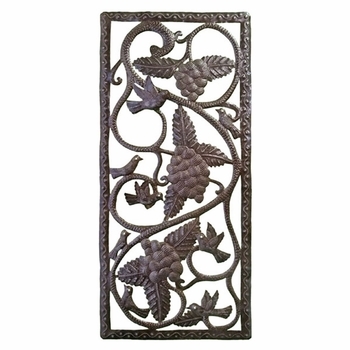 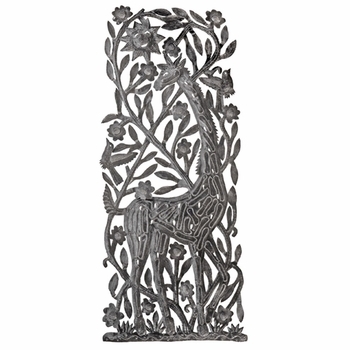 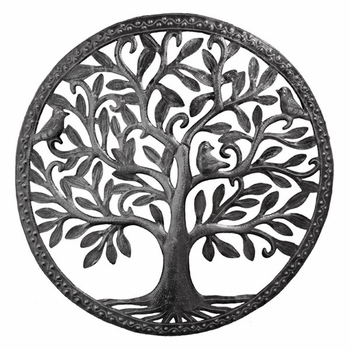 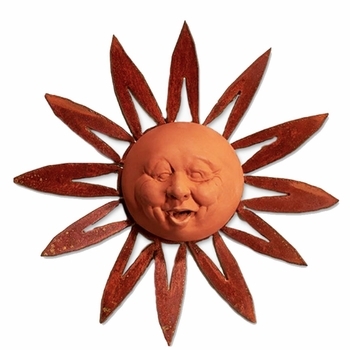 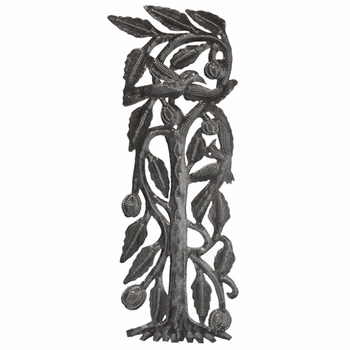 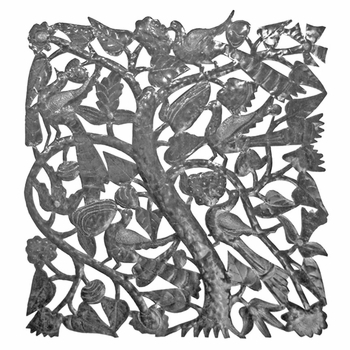 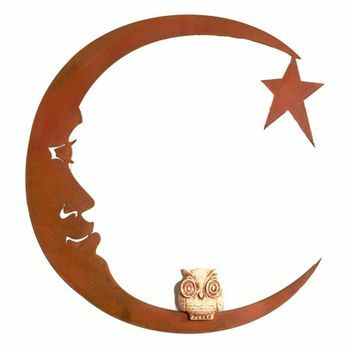 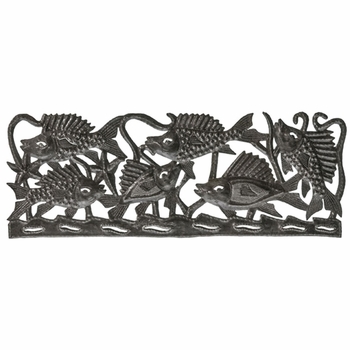 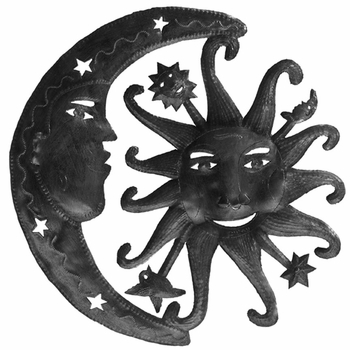 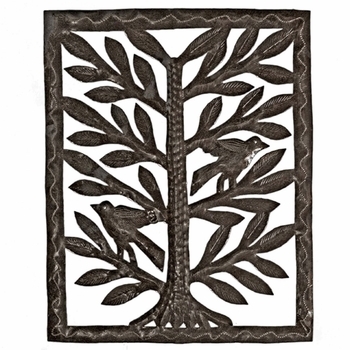 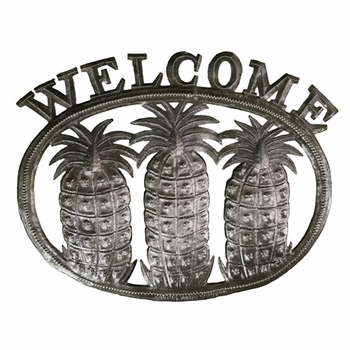 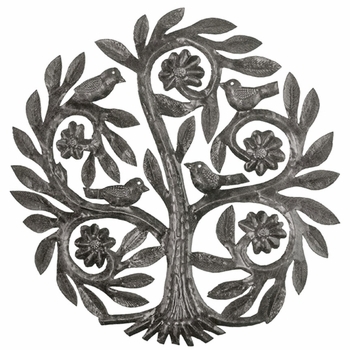 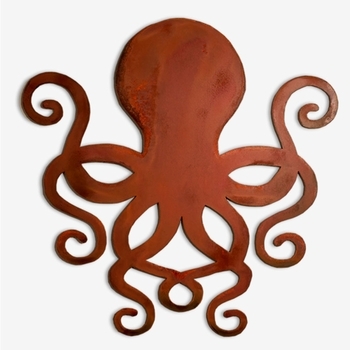 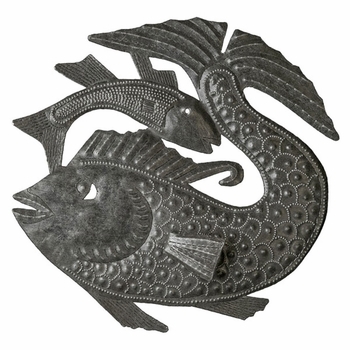 Formed by pouring molten iron into a sand mold, cast iron plaques are sturdy silvery gray art adornments that may be used either indoors or out. 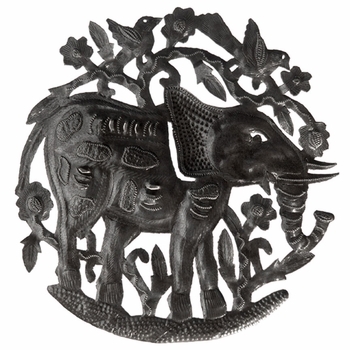 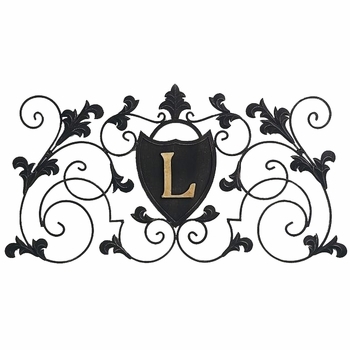 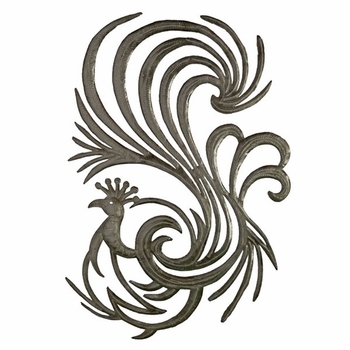 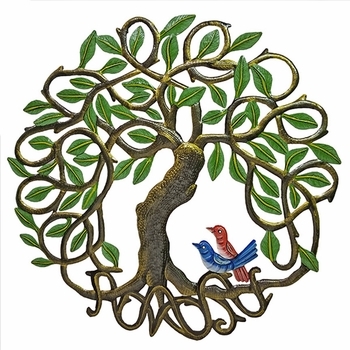 Our selection includes both ornate, highly detailed pieces and those that might be best paired with another wall art item. 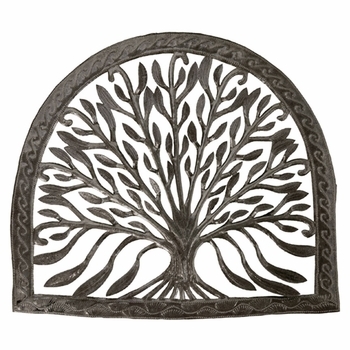 Hung outdoors cast iron will naturally patina. 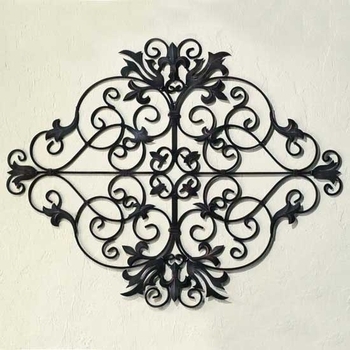 The cast iron plaques do not have mounting tabs or holes. 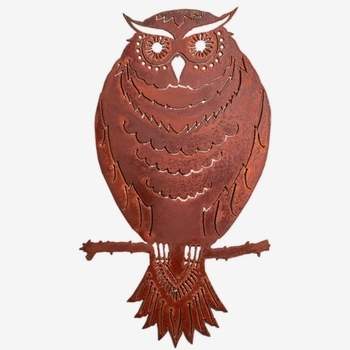 Because of their weight they are normally hung over sturdy screws that are securely fastened into wood. 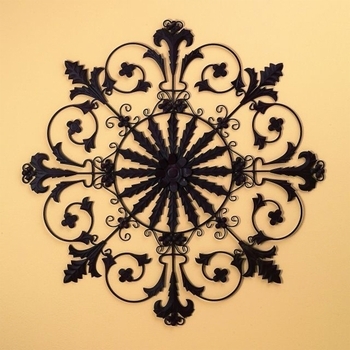 If you desire, holes can be drilled for hanging with a standard drill or drill press using a slow even pressure. 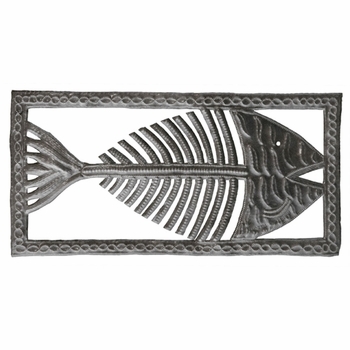 Cast iron is silver/gray in color and can easily be rusted or painted to match your decor. 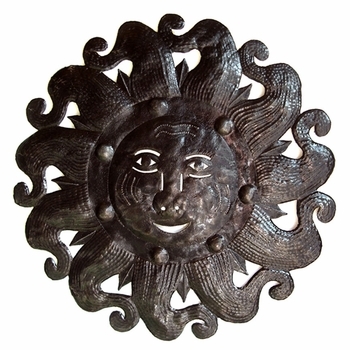 If left out, bare cast iron will rust on its own just from the moisture in the air. 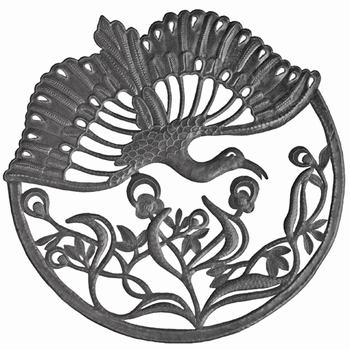 For more information on finishing cast iron please consult - Instructions for finishing cast iron. 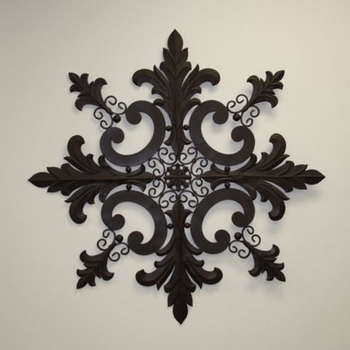 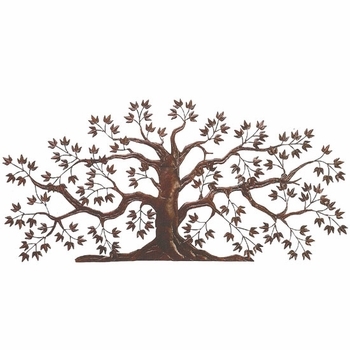 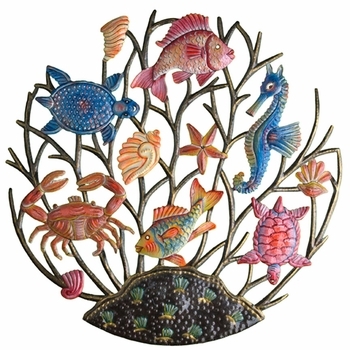 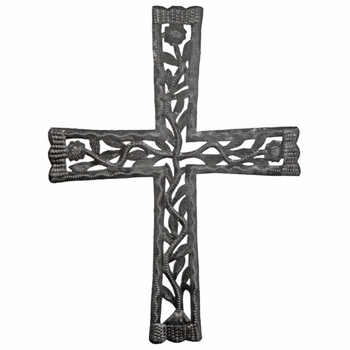 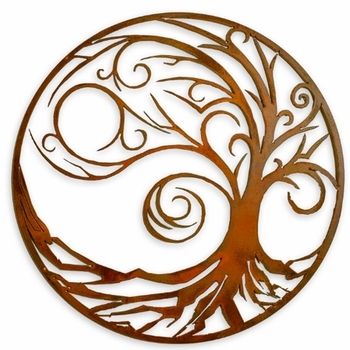 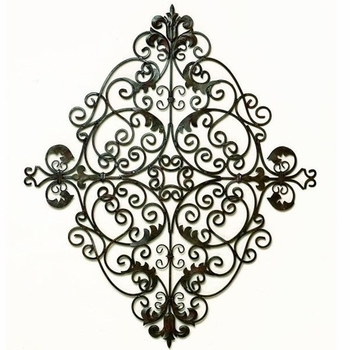 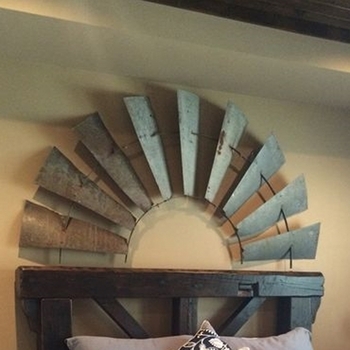 Large walls need large iron wall decor and metal wall hangings offer a great solution to fill up a large, flat wall. 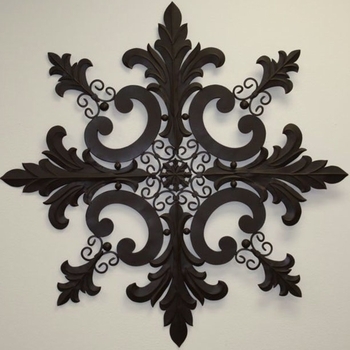 Our selection of large wall decor pieces are grand in scale and will lend a stunning presence to residential and commercial interior settings. 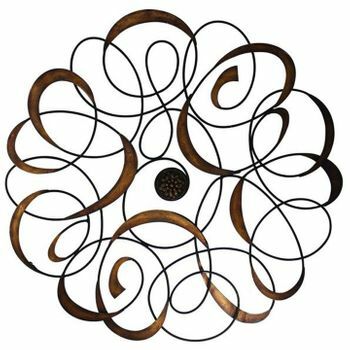 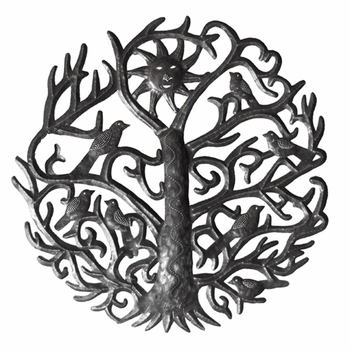 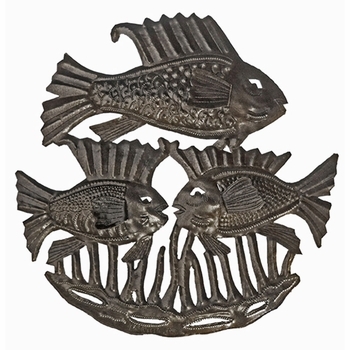 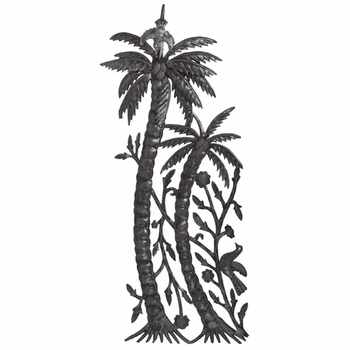 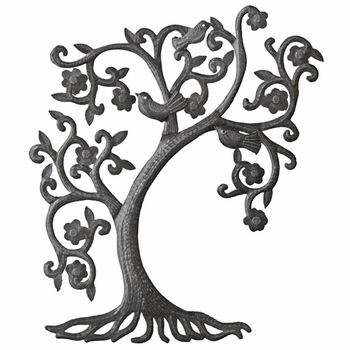 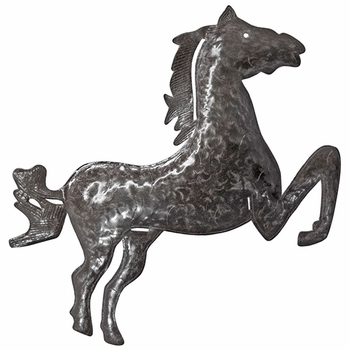 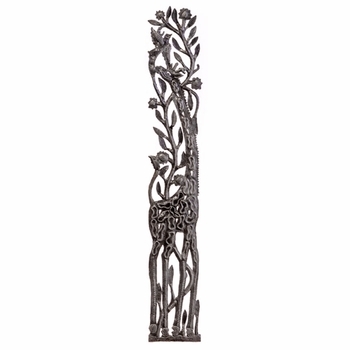 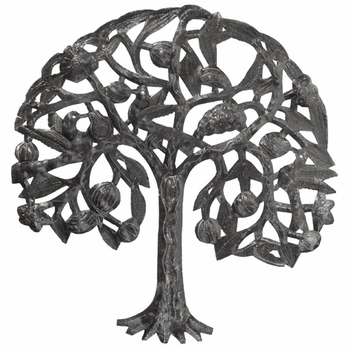 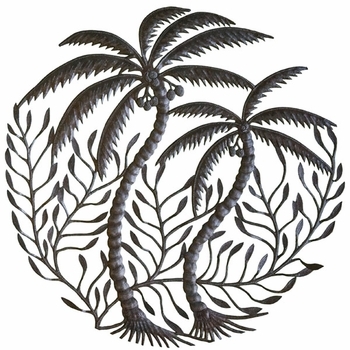 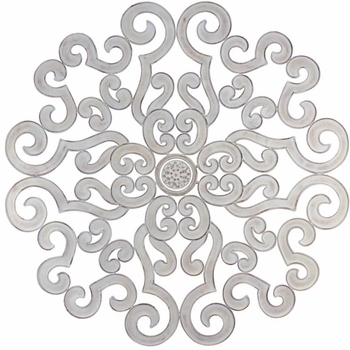 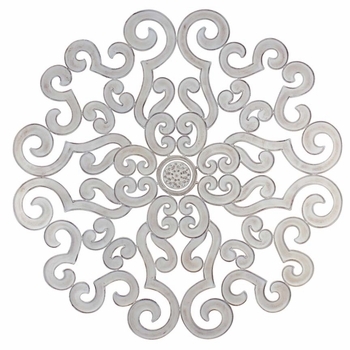 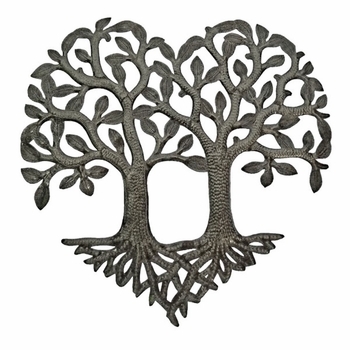 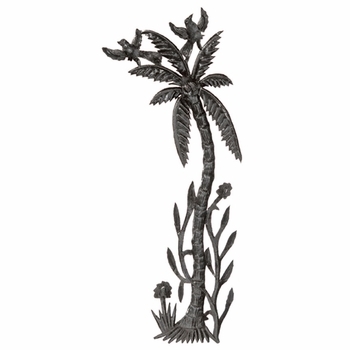 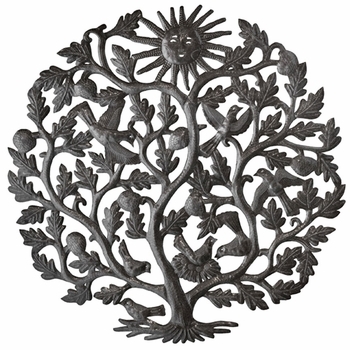 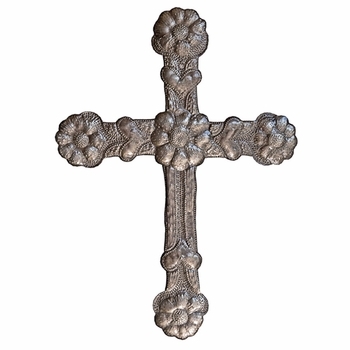 Produced in stamped or forged metal these pieces are a wonderful way to add dimension, depth, and interesting detail to your room. 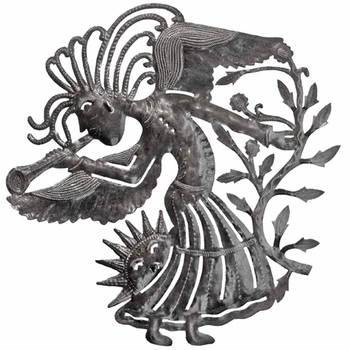 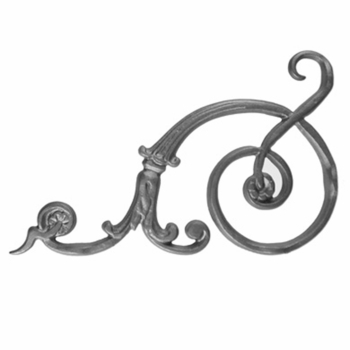 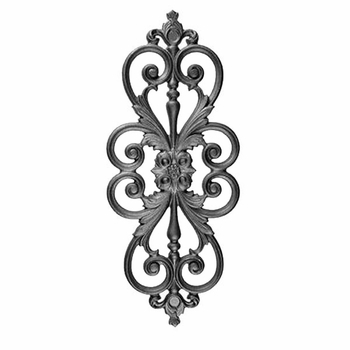 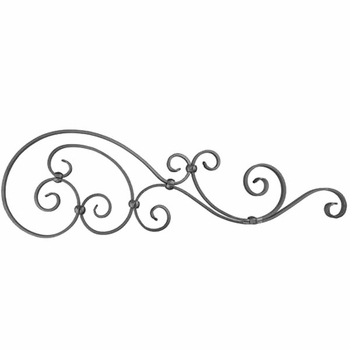 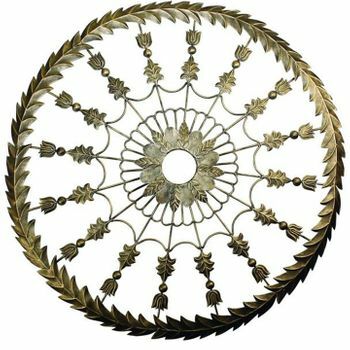 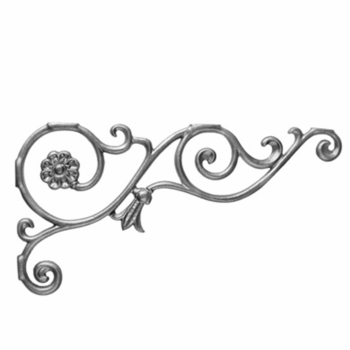 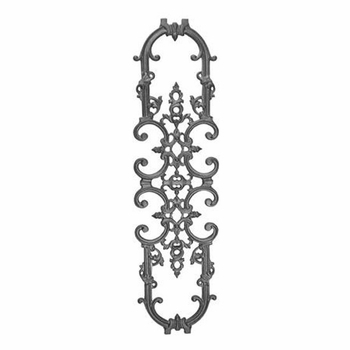 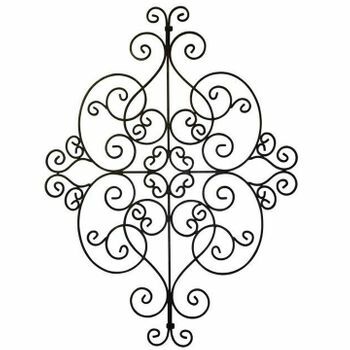 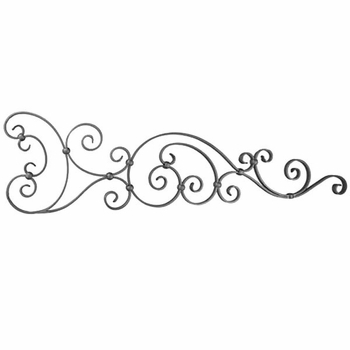 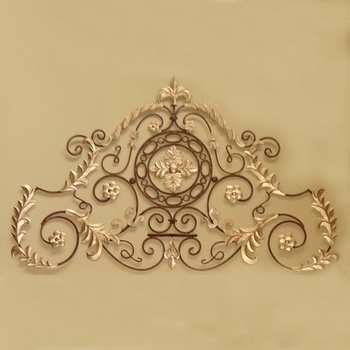 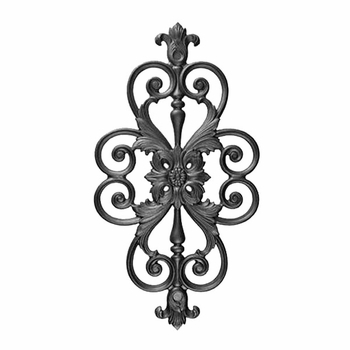 Swirls and curls of richly finished metal that form plaques and grills, friezes, swags and scrolls to add ornamentation to any empty space. 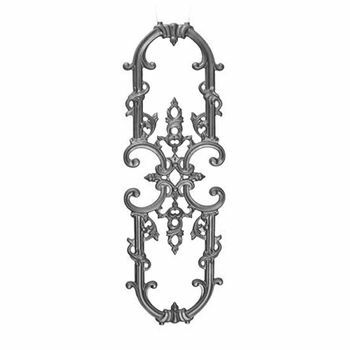 Airy yet substantial, these graceful additions pair well with other artwork but can hang alone with ease. 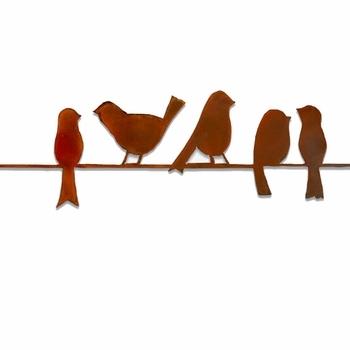 Go ahead, start with one - others will follow you home. 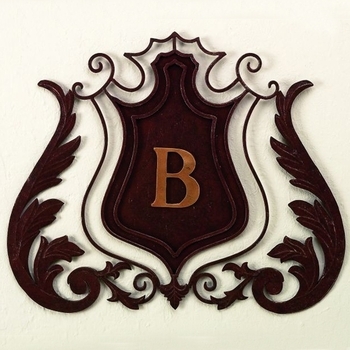 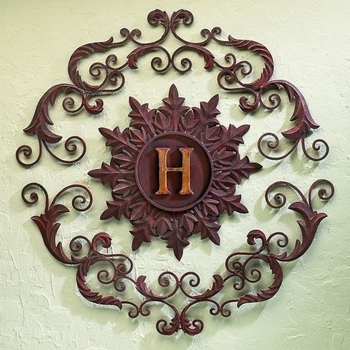 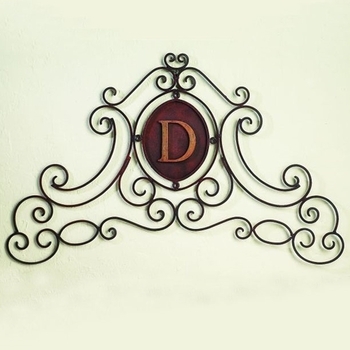 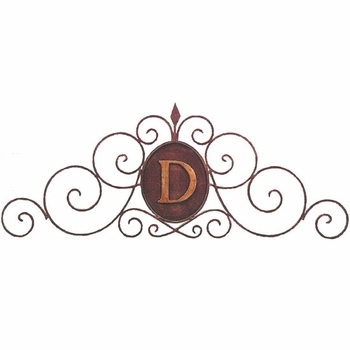 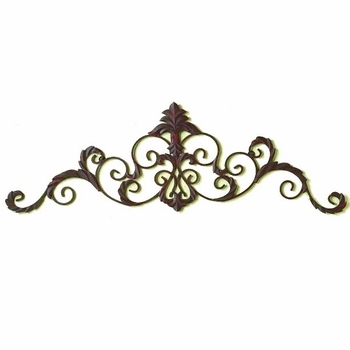 Enhance the design and character of your home with a monogrammed wall plaque. 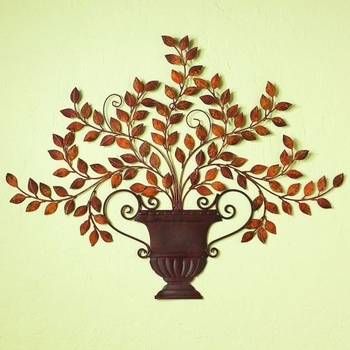 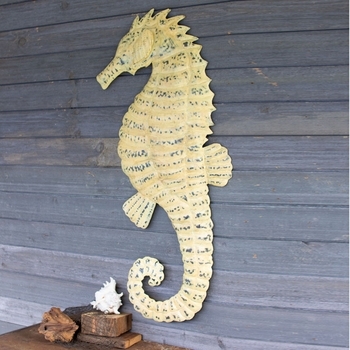 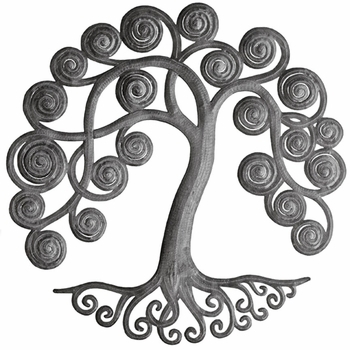 Their detail and dimension will add a distinctive and welcoming touch to the front porch, entrance wall or front door. 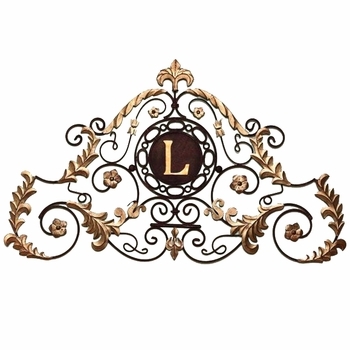 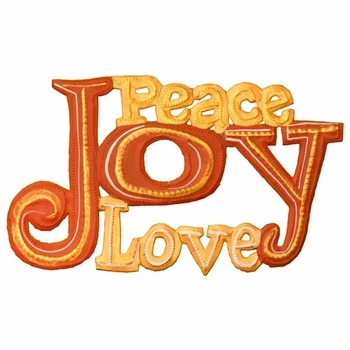 Center medallion boasts a single letter or gold emblem. 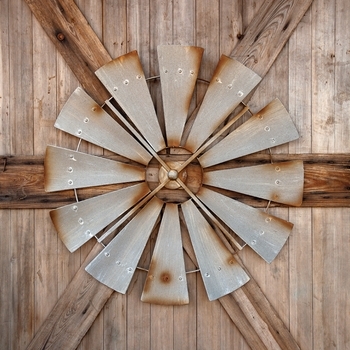 Mirrored selections, ceiling medallions, rustic compass roses, weathered roadside advertising, swirls and circles, metallic twigs and handsome moons. 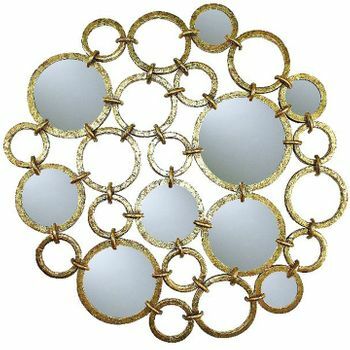 Something for everyone and every space you need to stylishly and delightfully fill. 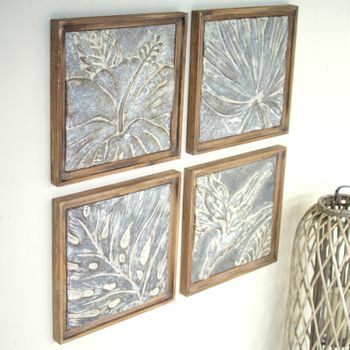 Recycled steel, tin tiles and laser cut iron all vie for attention as shapely square and rectangular wall art. 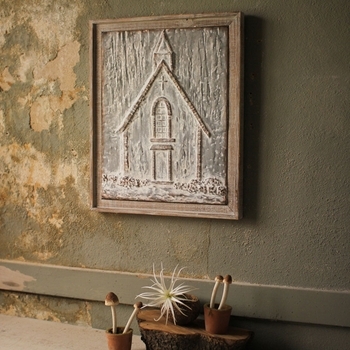 Why, yes, it is hip to be square!